Initial jobless claims shot-up because of the government shutdown, most likely this will disappear once the government stays open. 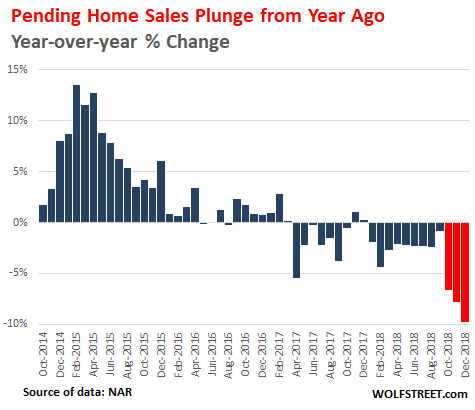 Home sales are getting uglier, the rates have been unchanged by the fed and the housing market will not decline as fast, but it is still declining. US is in high level trade talks with China, Trump will make a deal before March 1 and the tariffs will be lifted, this will put the [DS] and the MSM in a box. The Fed said something very interesting about future generations, patriots are in control. Lindsey Graham wants answers over the arrest of the FBI. Judge order Buzzfeed to release the sealed letters about the Steele Dossier. Another person on Mueller’s team worked for the Clinton Foundation. Trump is changing the 9th circuit court by appointing more judges. The battle for the wall is on, Pelosi says there is no funding, but this doesn’t matter because Trump will build the wall with out it. Saudi Arabia cracks down on corruption. We are watching a show and the patriots have the script and are the directors. Trump hopes RBG gets better, is he projecting. 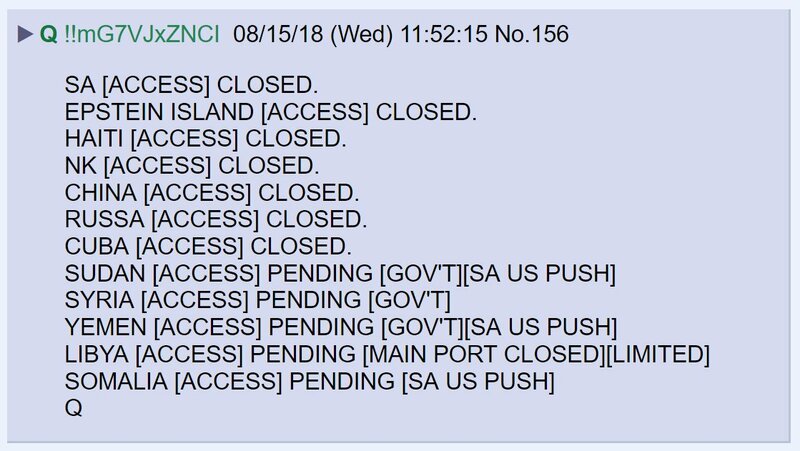 Q gave us hints about this. 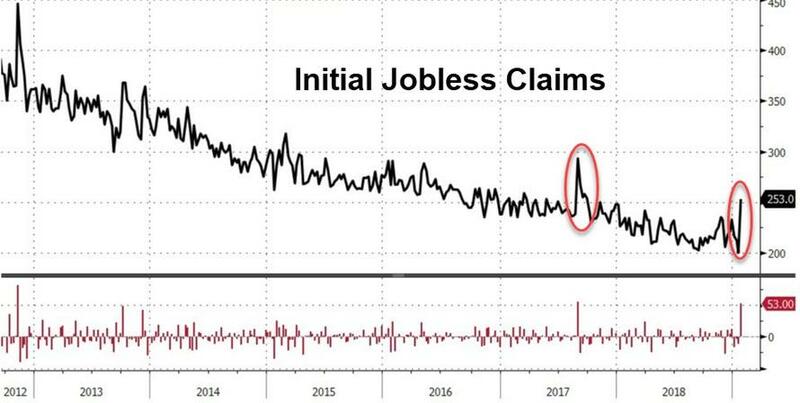 Initial jobless claims exploded higher by 53,000 last week to 253,000 – the highest since Sept 2017 (from the lowest in 50 years). Presumably most if not all of this surge will be erased over the nest week or two as the shutdown is now over. Two days of intense trade discussions begin in the Eisenhower building led by U.S. Trade Representative Robert Lighthizer and his Chinese counterpart Vice Premier Liu He. The stakes are high as the deadline for an agreement is March 2nd. Ambassador Lighthizer is joined by Commerce Secretary Wilbur Ross, Treasury Secretary Steven Mnuchin, and China’s arch nemesis, White House trade advisor Peter Navarro. President Trump has made sure the Chinese are aware the status quo cannot stand. Additionally, USTR Lighthizer has previously affirmed that significant, substantive and deliverable progress must be made to avoid pending tariff increases. China knows what will happen on March 2nd, if they do not negotiate in full faith. “No final deal will be made until my friend President Xi, and I, meet in the near future to discuss and agree on some of the long standing and more difficult points,” Trump tweeted. Federal Reserve chairman Jerome Powell said Wednesday that Congress and President Trump should look to fix the federal government’s finances now, rather than wait for later when the federal debt is higher. Powell called the government’s fiscal situation “unsustainable” and blamed the expected run-up in debt on healthcare costs and the aging of the population into retirement programs. “In the longer run, we’ll be spending all of our money on paying interest and not on the things that we really need to be doing for future generations, for our own generation,” he said. Senator Lindsey Graham Sends a Letter to FBI Requesting Briefing Over Roger Stone Arrest…. Rhee joined a legal team that defended the Clinton Foundation from a racketeering lawsuit filed by conservative activist Larry Klayman of Freedom Watch. 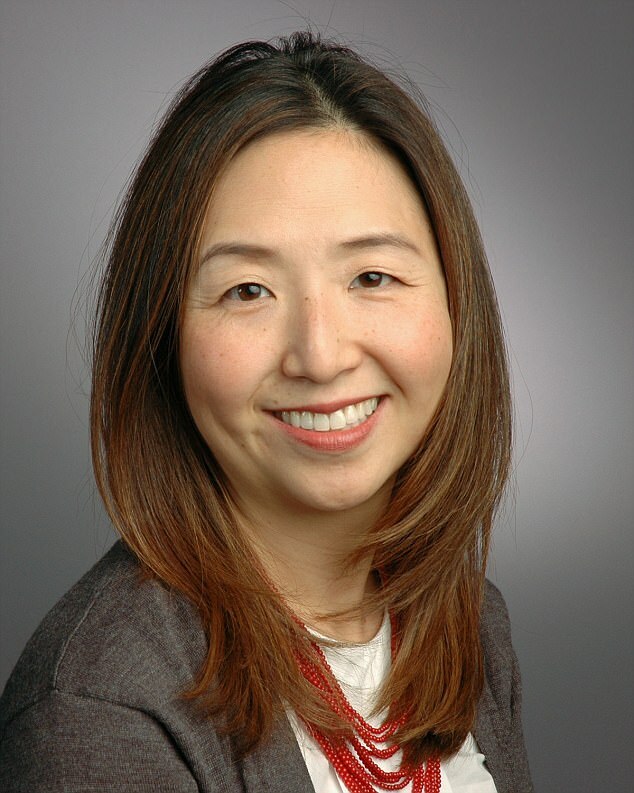 Rhee also represented Obama security advisor Ben Rhodes as he negotiated a congressional investigation in connection with the 2012 Benghazi attacks. Rhodes was one of Obama’s most trusted advisors..
House Republican lawmakers are also putting Mueller and his team under the microscope. House Judiciary Committee chairman Robert Goodlatte held a hearing Thursday with FBI Director Christopher Wray, where he brought up the issue. The White House on Wednesday announced a trio of nominees to fill vacancies on the 9th U.S. Circuit Court of Appeals, e court. “More troops being sent to the Southern Border to stop the attempted Invasion of Illegals, through large Caravans, into our Country. We have stopped the previous Caravans, and we will stop these also. With a Wall it would be soooo much easier and less expensive. Being Built!” Trump wrote in a tweet. Trump continues with other tweets on the wall. Night Cameras at night spotted illegals trying to get into the country, In Arizona they caught 123 illegals trying to cross the border, this would have been much harder if there was a wall. The clock is ticking down on the amount of time congress has left to come up with a deal, and so far it is not going well, Mark Meadows tweets out.
.@SpeakerPelosi could have gotten a good deal for Dreamers in exchange for the wall, but no, her pride came first. Trump will get his wall and Nancy’s base will get JACK SQUAT. Proud of your great leader now Democrats? Think about was offered for the wall, if there is no deal, Pelosi and team will get nothing and Trump will build the wall. Nancy Pelosi said that there is no money for the wall. She is on a different agenda and we all know what that is. After dozens of detainees – a group that reportedly included Saudi Prince Alwaleed bin Talal – agreed to surrender billions of dollars in assets and cash, most were let go; others were moved to a more traditional prison where, some are being held on corruption charges to this day. And for the first time, the kingdom also released official numbers about the number of people who were detained, the number who settled and the number who have been referred for further prosecution after the kingdom “refused to settle” because of “existing corruption charges,” per the FT. The government summoned 381 people, including witnesses, as part of the crackdown, according to the Royal Court. Settlements were reached with 87 after they confessed to the charges against them. Eight people refused to settle and were referred to prosecutors for further charges. The attorney-general refused to settle with 56 people because of existing criminal charges against them. Seized assets recovered included real estate, companies and cash. The government believes the crackdown was “necessary” as the kingdom embarked on a raft of MbS’s economic reforms. Saudi Arabia – the Bloody Wonderland. Saudi Arabia recently arrested all their corrupt princes, and down a helicopter where corrupted officials were trying to escape. Saudis also cut tied with Hillary. Saudi Arabia = The Bloody Wonderland. The Alice & Wonderland event confirmed. We are watching Trump’s/Patriot Show, they have the script. 1. THREAD – Is anything really happening? For those following US and world politics, it must be accepted that we are in a ‘weird’ time of civilisation (I use this term loosely). Let me focus just on Trump tweets. This bill amends provisions governing presidential records to: (1) revise the definition of “documentary material” to include social media; (2) revise the definition of “presidential records” to include any personal and official social media account; and (3) define “social media” as any form of electronic communication (such as a website for social networking and microblogging) through which users create an online community to share information, ideas, personal messages, and other content (such as videos). 2. Trump seems to love to facilitate tremendous ridicule. Trump has developed a cast that rivals a TV sit-com! 4. To say that “nothing is happening” is a statement of ignorance. 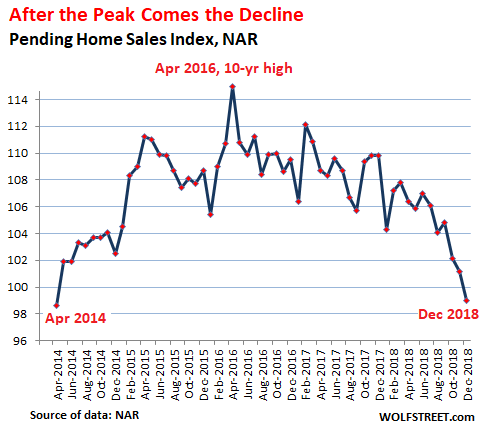 “What” is happening however, requires some speculation and hard research. I am very sympathetic to those who still rely on MSM to confirm things. This is the #GreatAwakening and we all awake at different times. 5. Trump was very clear going into the election what he was intending to do to those who we call “Deep State”. He is ambiguous and crass ‘now’ but he wasn’t ‘before’ he was elected. 6. For anyone uncertain about what Trump is all about, the Al Smith Dinner speech clarifies everything! This is the greatest, cleverest and funniest speech ever… in the context of a future take down. 7. This is the greatest troll speech ever, let alone by a would-be President. His rhythm and presentation is quality stand-up comedy. Watch it and agree! Trump didn’t troll like this to then do nothing! 9. Fast forward to now. Trump said he would appoint a Special Counsel and take down the Deep State. Trump is waking people up. How? He is doing it by exposing blockages. He is calling for people to wake him up to fix the judicial system! 10. There is much confusion. Many are unsure about alliances and loyalties and whether Trump is in control. This lures us into a judgement of someone without evidence. DO NOT fall into this trap. Our authority is to “accuse the evidence”. The more we shout, the more we know. 11. Everyone is still looking to the media to confirm victory. Stop and think about what I just said (above). Who are we granting authority to confirm our reality? Re-read the above question. This is a life-changing insight. 12. The MSM may never confirm our victory. What even defines a victory in this war? There have been so many BOOMS but still many ‘patriots’ become restless with a lack of action. POTUS is now fighting our expectations as well as the Deep State. 13. So let’s change gear and look at the real issue here. We are in the #GreatAwakening. All else is a distraction. Therefore, we must ask who informs our reality? Where does your informant get its information? Does your intuition agree with the reality you are being given? 14. What are we “awakening” into? – A new realm of right and wrong? 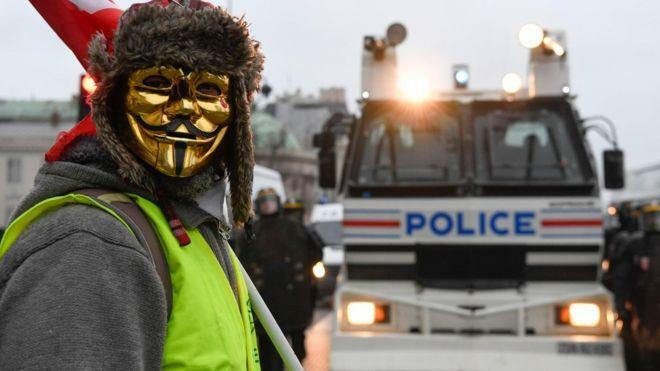 – A new ruler over us? – A political party that better reflects my beliefs? – New colours in the rainbow? Seriously folks, what is going on here on earth? 15. Given my biased “Christian” upbringing I listen to everyone. I examined their fruit without judgement. I also looked at what Jesus said, without bias for or against his views, I examined what Jesus said about this great shift. The Call went out, concerns over Roe v Wade, abortion. , Hillary clinton kicked it all off…. Our democracy is broken. House Democrats’ first bill, #HR1, would help fix it. News from Oregon that Governor Kate Brown is on board with a bill which would establish “universal” invasive home visits by state employees to all households with newborns is causing shockwaves throughout the nation.